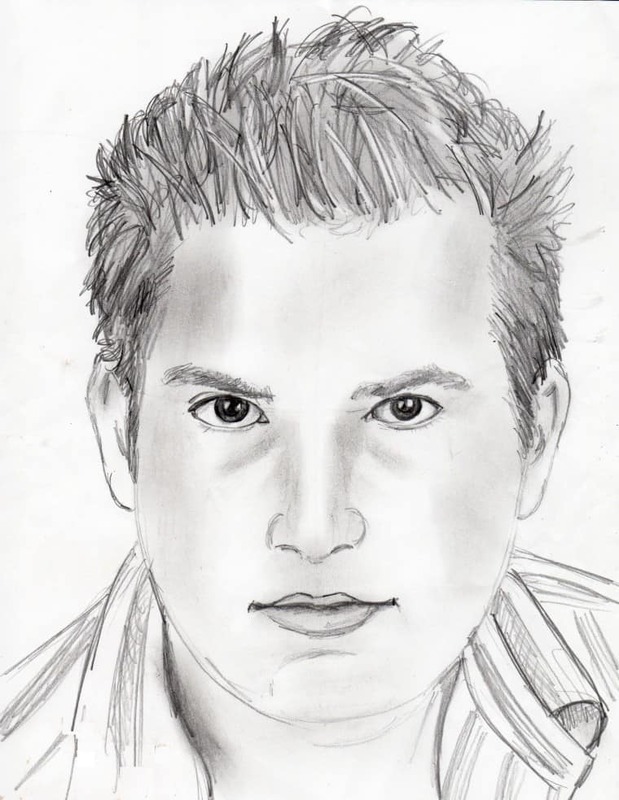 Sit down, take out a pencil and attempt to draw a face. If you are anything like most of us chances are these how to draw faces tutorials will make a big difference to your final drawing! In theory, it is simple to draw a face but without help, it doesn’t always come out the way planned. 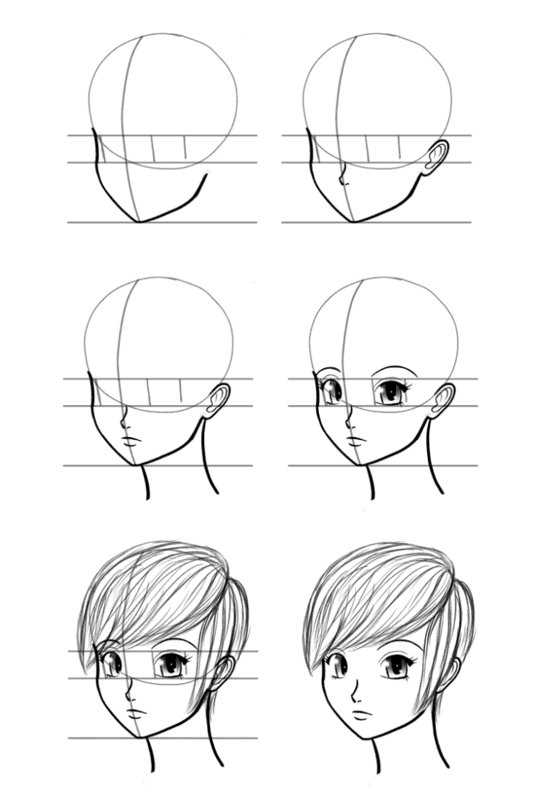 We have found the easiest to follow tutorials around so you can draw a face like a pro! There are MANY tutorials around on how to draw faces so rather than showing you a giant and overwhelming list we have focused on the basics. 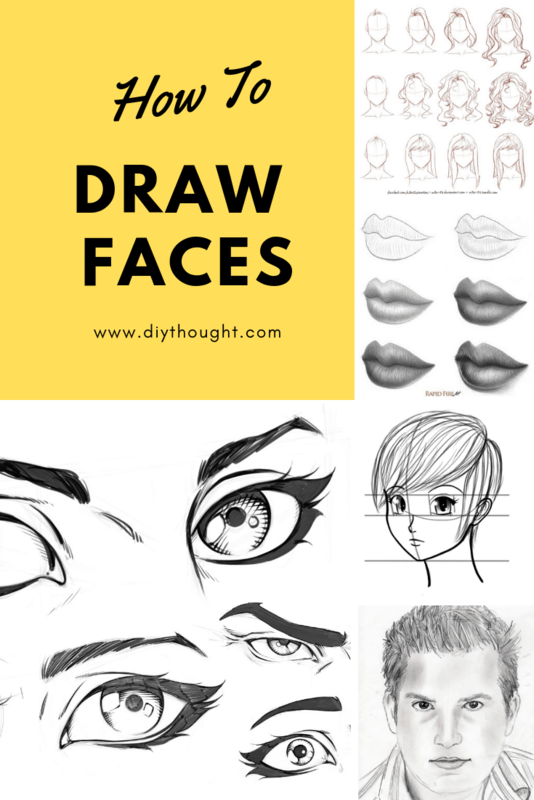 Many of these links have other great tutorials on how to draw faces so click on the links provided to gain a deeper understanding of how to draw faces. 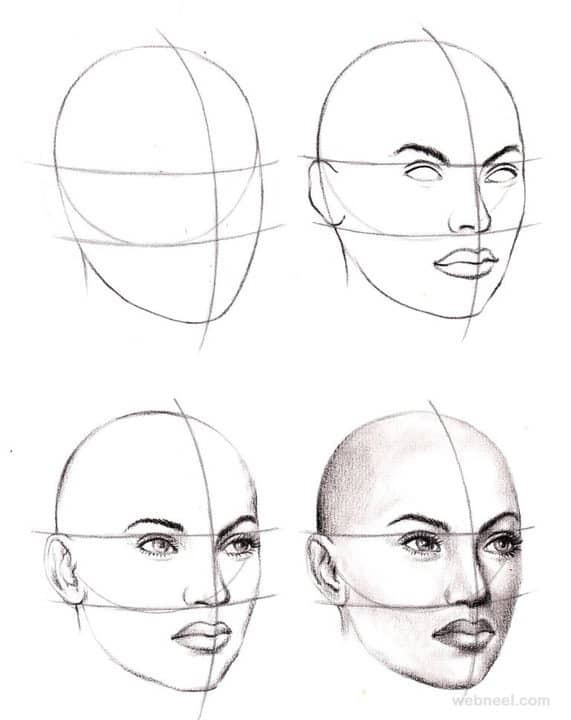 This is a good guide to follow for a realistic front and semi-side view of a face. Click here to see other face dimension tutorials. 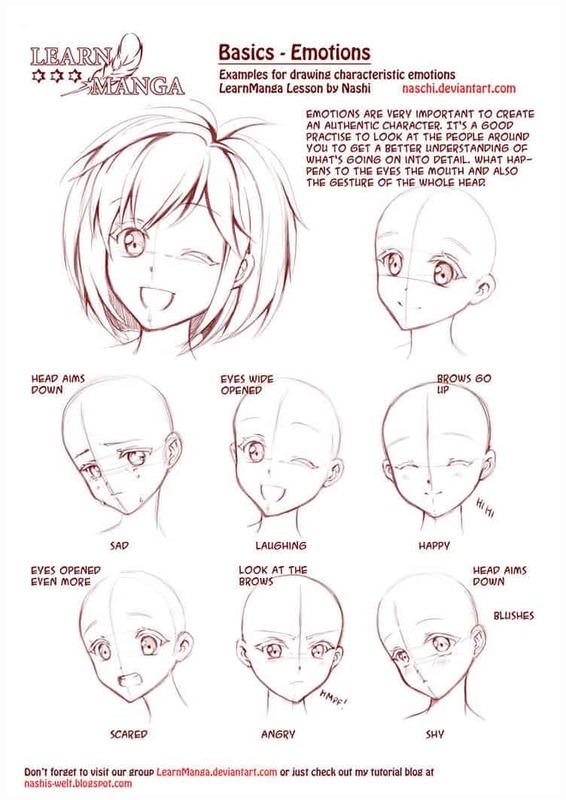 Anime faces are drawn in a slightly different way. 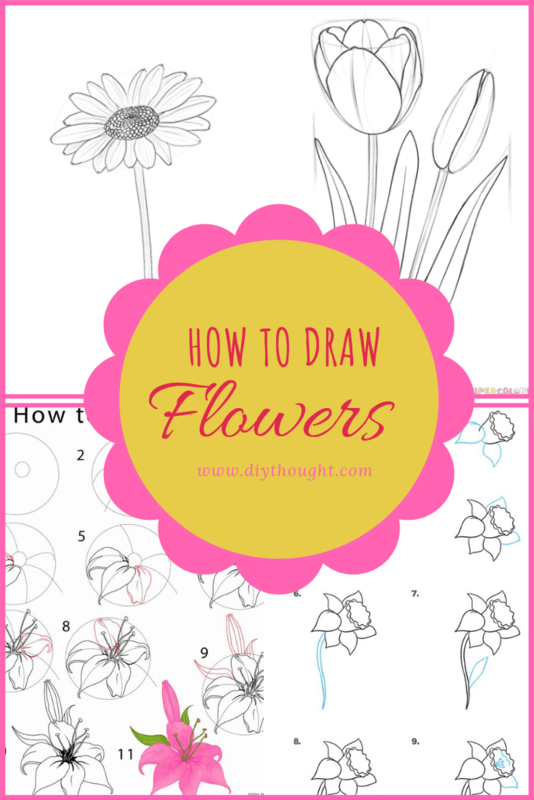 This first is an easy to follow guide from Easy Drawing Guides. While the bottom image is from Manga Tuts. Both are worth checking out for their other drawing tutorials. Look how simple it is to draw luscious lips! Rapid Fire Art has the full tutorial as well as lips drawn from different angles. 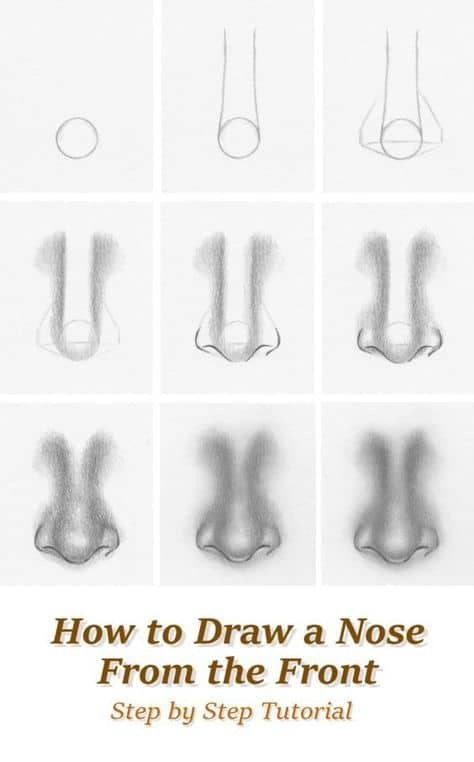 This is a great step-by-step tutorial on how to draw a nose from the front. Another great tutorial by Rapid Fire Art. 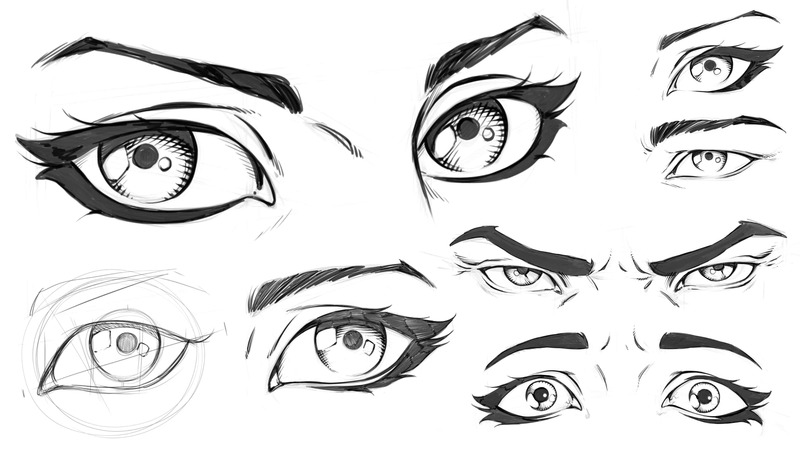 Perhaps one of the most important parts of the face to draw is the eyes. This tutorial explains each step to get the perfect eye. This is a great video series to watch to learn how to draw both comic eyes and to get pointers on eyes in general. Visit Skillshare to sign up for a free one month trial. Once you have mastered the basics of drawing a face try adding some emotions with this tutorial. Source found here. The simple way to add on hair. 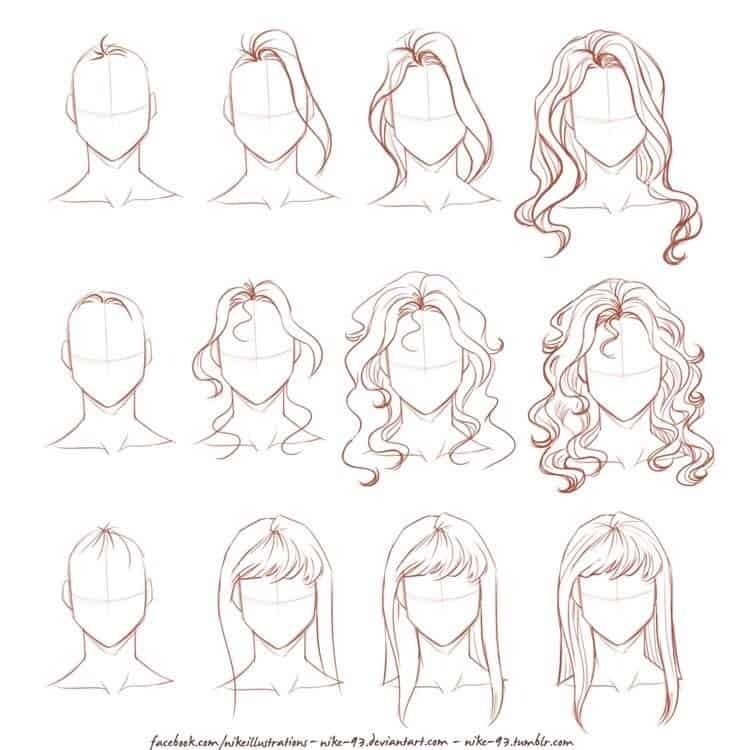 Following the techniques shown here, it is possible to create all sorts of loose hairstyles. Source found here. 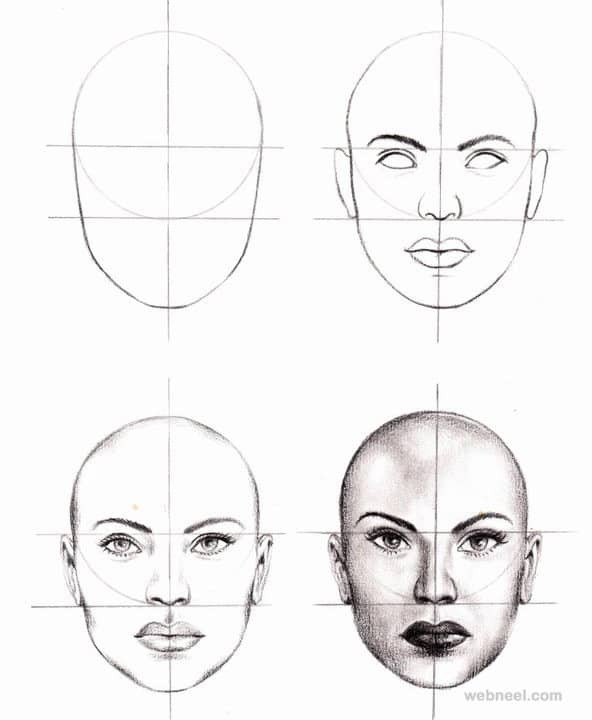 Before you embark on your face drawing mission check out these 10 great tips for drawing a face by Samantha Bell.